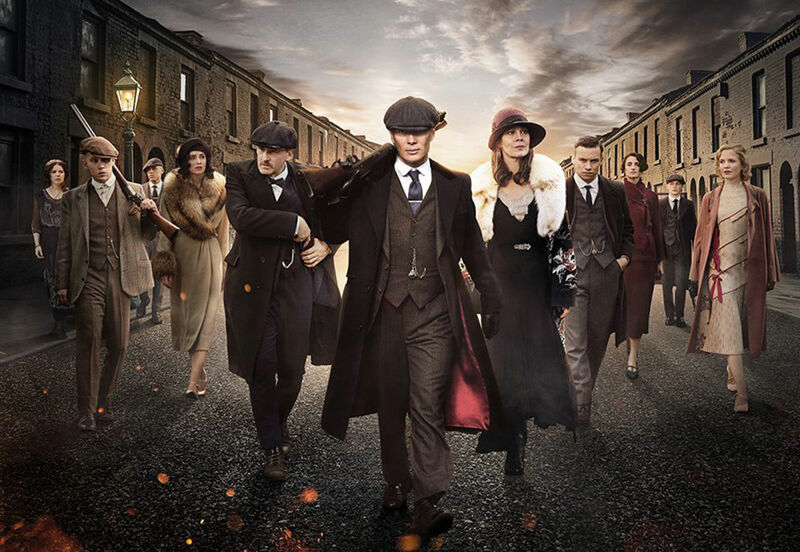 If you’re impatiently waiting for the fourth season of Peaky Blinders to arrive on Netflix, here are some similar TV shows that should keep you plenty entertained until then. And for those who have seen the last series – stop sobbing and read ahead for some more gut-wrenching TV! Almost as many heartthrobs, triple the horror. The Walking Dead is an American TV series which originated as a comic book series, written by Robert Kirkman. It has a quality cast; Andrew Lincoln, Jeffrey Dean Morgan, Sarah Wayne Collis, John Bernthal, Tom Payne, David Morrissey, Lauren Cohan, Austin Nichols. The list goes on! There has never been a show about a zombie apocalypse that is so complex; becoming attached to the characters is inevitable as their journeys across Atlanta and Georgia strips them bare. Much like Peaky Blinders, this show will keep its hooks in you until the very end. It draws in tens of millions of viewers, wins awards and has inspired spin-off shows and video games. TIP: Some water and maybe dry snacks – nothing that resembles blood or flesh. Watch The Talking Dead that is linked to each episode afterwards for fan theories and some therapy. Most importantly – Never, ever, Google ‘The Walking Dead‘, you will see spoilers. David Dawson (King Alfred), who featured in Peaky Blinders as Billy Kimber’s assistant, ‘Roberts’, provides a familiar face for viewers. While Alexander Dreymon (Uhtred) is not very well-known, he plays an exciting and unpredictable character … and is pretty easy on the eyes. (Seriously, Google him.) This show is incredibly underrated, but it’s still on track to return with a third season later this year. TIP: Watch on a Sunday night with a cup of tea / hot chocolate under a blanket. My favourite on this list, and in keeping with the theme of British period shows; Penny Dreadful is a Golden Globe winning American-British fantasy drama series, based on ‘penny dreadfuls’ – a type of sensational 19th century British fiction. This is an incredibly gripping series, with classic literary characters appearing; Oscar Wilde’s Dorian Gray, Mary Shelley’s Dr. Victor Frankenstein, and Robert Louis Stevenson’s Dr Henry Jekyll. The show explores their stories from their beginning, and explores ideas of a border between reality and the supernatural. The series includes a star-riddled cast; Reeve Carney of Broadways Spider-Man adaptation, Timothy Daltan of Hot Fuzz and the 1987-1989 James Bond films, and even Billie Piper. Eva Green is the protagonist of the show, and despite having starred in feature films like Casino Royale and The Golden Compass, her performance as Vanessa Ives has to be her best yet. She is a haunting yet uplifting woman living in Victorian London as a mysterious outsider, and in each episode we understand her in a different light – in a similar way to Thomas Shelby of Peaky Blinders. When an episode finishes you will find yourself adjusting to reality as though you’ve just watched a feature-length film. TIP: Watch with a glass of wine / nibbles, with curtains closed and candles lit.